Interior Protection Systems announces the launch of their environment-friendly fabric protector, Fiber ProTector. This product has been awarded the EnviroSeal Certification and can be used on all fabrics. It protects furnishings from stains and enables easy cleaning of spills. 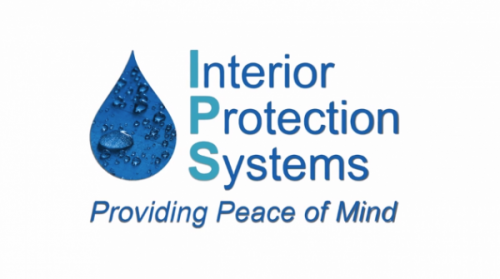 Interior Protection Systems, located in New Braunfels TX, announces the launch of their green furniture protector. The product is called Fiber ProTector. According to the firm, the product is the only fabric and rug protector to be awarded the EnviroSeal Certification and the WoolSafe Approval. Furnishings whether they are carpets, curtains or sofa fabrics are very prone to getting dirty and stained. The problem becomes even more pronounced with homes with young children, elderly people or pets. Liquids such as beverages and drinks, blood, urine etc. spilled onto furnishings can be extremely difficult to clean completely and even more so after it has dried. Conventional fabric cleaners use chemicals that can damage the fabric and weaken it so that it is more prone to ripping, fading or discoloration. They also give off strong smells which can trigger allergic attacks in people and pets. Conventional fabric cleaners also require that the surface or room remain unused for a period of time, till the harmful effects have worn off. This is where Fiber ProTector from Interior Protection Systems makes such a big and positive difference. It protects furnishings from wear and tear and makes cleaning very easy and effective. Any fabric, even the finest silks can be safely protected with Fiber ProTector. Fiber ProTector is a solvent fluoroplastic protection fluid and is superior to other similar products in the market. It does not alter the texture and appearance of the fabric in any way. Nor does it affect other pre-existing treatments such as fire-proofing or anti-static protection. Fiber ProTector is completely safe for use in residence and other living spaces. The product has received the EnviroSeal Certification. This makes it harmless for the environment as well as safe for people and pets. So from Austin, San Antonio, Boerne, Dripping Springs, Alamo Heights, or anywhere in between, give Interior Protection Systems a call. For more information visit the website at the link given above.